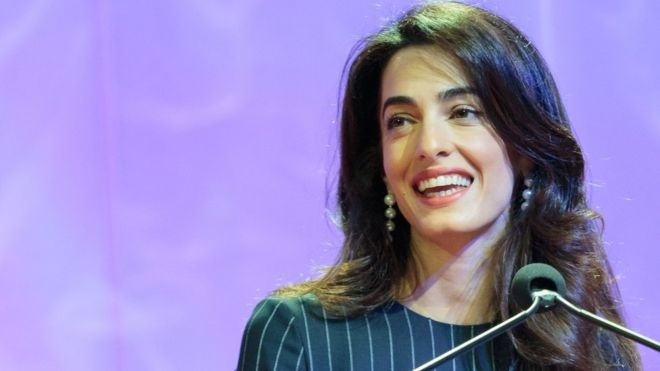 AKIPRESS.COM - Well-known human rights lawyer Amal Clooney has said she will join the legal team representing two Reutersreporters detained in Myanmar. She said "it is clear beyond doubt" that Wa Lone and Kyaw Soe Oo were innocent, and called for their immediate release. The two journalists are accused of violating Myanmar's colonial-era Official Secrets Act while reporting on the Rohingya crisis. They face up to 14 years in prison. "The outcome of this case will tell us a lot about Myanmar's commitment to the rule of law and freedom of speech," Ms Clooney said in a statement. "Wa Lone and Kyaw Soe Oo are being prosecuted simply because they reported the news," she said. Reuters says the two were arrested because they had been investigating a mass execution of Rohingyas by soldiers and villagers, BBC reported.